"In the battle against the vampiric Ticks, humanity was slowly but certainly headed for extinction. For months, twin sisters Lily and Mel had been "quarantined” with thousands of other young people being harvested for their blood—food for the Ticks. Finally escaping with a few friends, the twins are separated—and must continue the fight on their own . . . But when a monstrous betrayal places Lily in mortal danger, Mel must set out to find her, save her, and begin to unravel the empire of destruction that the Ticks have built." First line: "I wake to a thirst unlike any I've ever known." Thoughts: Mel, Lily, and Carter are back, live and in color. Welcome back to the world of vampires or rather "Ticks", where it's better to run from them than live on the Farm. So, how's the sequel? Well friends, I have to tell you that Emily McKay truly outdid herself with THE LAIR. It's better than THE FARM and packed with so much more action, love, and betrayal. Get ready, you're in for a treat! This novel is told from Mel, Lily, and Carter's points of view. Like the previous novel, it alternates between these three and gives you some perspective in how life is living in the land of ticks. The only real difference is Lily's point of view happens to be told in third person. Why this is, I have no idea, but I personally didn't think it took anything away from the novel. 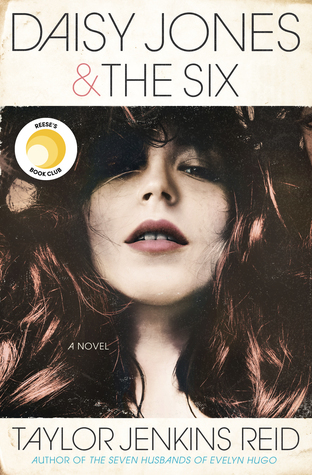 Like the previous novel, all the voices are distinct and add something different to the overall story. Of the three, I like to think of Mel as the brooding one only because she's not necessarily the happiest of three yet, to me, is the most interesting. If you've read the previous novel and remember the ending, you know what happens to her. Her transition isn't exactly easy, but at least she has Sebastian to help her out (love Sebastian). As far as the other two go, they're proof that romance and the vampire apocalypse do not mix. They both need each other and don't exactly know how to fit in or how to make things work. The romance in this novel somewhat broke my heart and frustrated me only because even though it's there, it's difficult to maintain. There will be betrayal, and there will be heartache. I'm definitely curious as to how things will work out for Lily and Carter in the next novel. Now, I must add that THE LAIR brings on the action. I honestly don't remember there ever being a dull moment. In my personal opinion, this book definitely blows THE FARM out of the water. I was never bored nor did I ever want to put this book down. I had to know what happened next, even if it meant being late for work. My only regret now is having to wait so long for the third novel, especially with the way things ended. Yikes. Overall, I highly recommend this novel to fans of THE FARM. 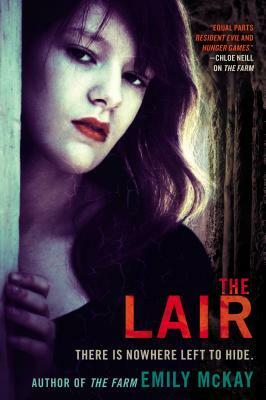 If you read THE FARM and didn't care for it, please pick up THE LAIR and give it a chance. You won't regret it. For those who haven't read THE FARM, do it so you can discover all of the awesomeness that is THE LAIR. Word. I really, really want to read The Farm. I keep telling myself I'll get to it, and then never do. Glad to see the sequel was just as good as the first! I still need to read The Farm but yay! for the second book being even better! i think that not bad opinion if for a good thing for all.